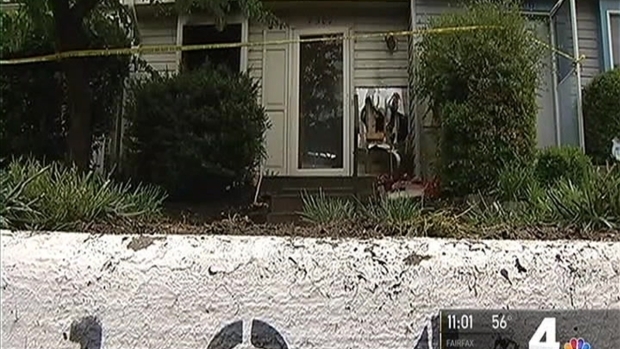 A man who disappeared after a suspicious fire tore through a townhouse in Lorton, Virginia, is now being sought by fire officials. 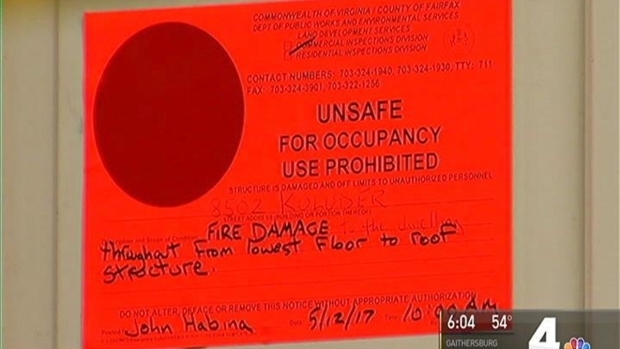 Darren William Hinzman, 47, is a person of interest in the fire Friday on the 8500 block of Koluder Court in Lorton, the Fairfax County fire department said Monday. Hinzman was last seen the night before the fire that destroyed one house, damaged two neighboring houses and displaced two neighbors. Hinzman may be traveling with Donna Mae Metro Hinzman, who the fire department described as his "girlfriend/wife." Friends and family told officials they may be headed to Texas or Clearwater, Florida. Investigators in Fairfax County are calling a fire that gutted a townhome overnight in Lorton "suspicious" in nature. The fire damaged the two neighboring units, displacing the residents. News4's Meagan Fitzgerald reports. Fire officials said Friday that the fire was suspicious but declined to elaborate. Several neighbors told News4 on Friday that they had seen the resident of the house that caught fire packing up the night before. That man was an officer at the Pentagon until last year, an official there confirmed. His house was under foreclosure, records show. "It felt like an explosion. The whole house shook," a neighbor said. Anyone with information for the Fairfax County Fire & Rescue Department is asked to call 571-221-1049.